What happens in everyday speech when a word ends in an /ɔː/ sound, like 'law', and the next word begins in an /ə/ sound, like 'and'? 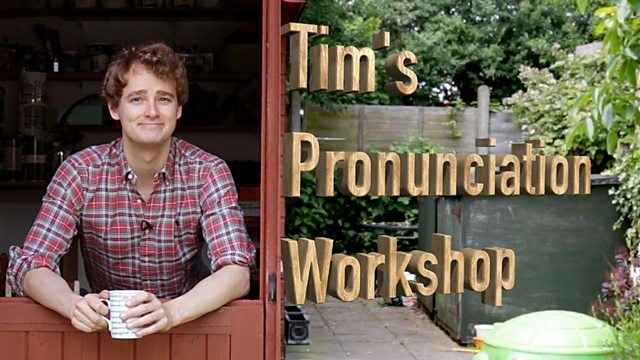 Tim's hard at work in the pronunciation workshop. This time, he's talking about sounds that you can hear, even when they don't - or shouldn't - exist! Take a look at the video to find out more about these mysterious features of spoken English. Then have a go at the game. In fluent speech, if a word ends in an /ɔː/ sound, like law and the next word begins in an /ə/, you'll often hear a /r/ sound linking them together. We saw a good film last night. Can you hear a /r/ sound between 'saw' and 'another'? We saw another film last weekend. Can you hear a /r/ sound between 'floor' and 'and'? Michael slipped on the wet floor and broke his leg. Can you hear a /r/ sound between 'four' and 'or'? Aliya will be off work for four or five weeks. Can you hear a /r/ sound between 'store' and 'at'? The store at the end of the street is closed. That's all for this unit. But we're back in Unit 6 with a load of great activities to help you improve and practise your English. See you there! Law and order is important. I ate four or five cakes. We saw a good film.